The Apple Watch just came out and while many of still waiting for their orders, there are many of us who are starting to receive them and looking for replacement straps and bands or even charging docks and stands. There are a variety of different accessories starting to come out but many are still in production and have not yet been released. 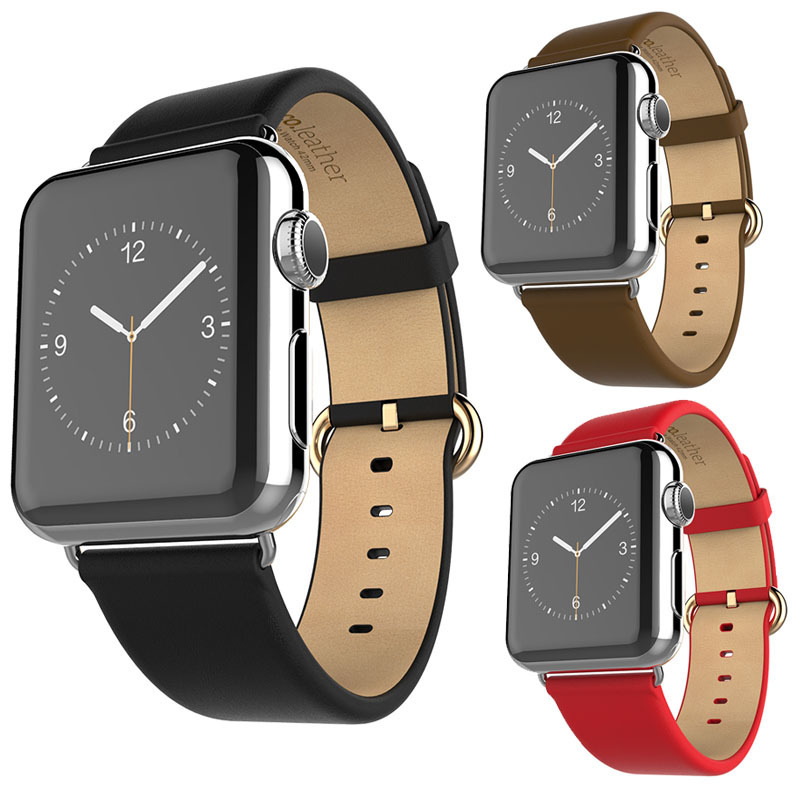 These aftermarket leather straps for the Apple Watch are available in 3 colors - black, brown and red and both 38mm and 42mm sizes. We have not yet tried these straps but we already ordered a couple of them. Since we have already heard about good quality on the HOCO Steel strap, we think this leather strap for $20 will be a great deal. 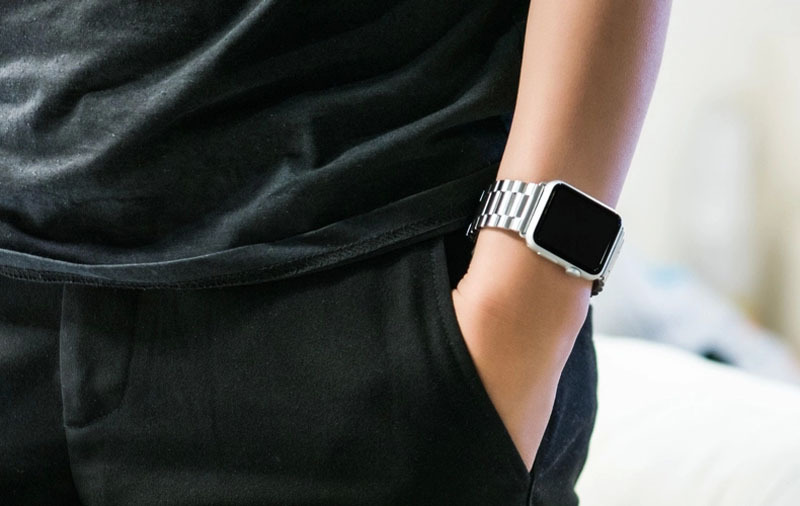 This is a great replacement band for the steel Apple Watch for only $35. 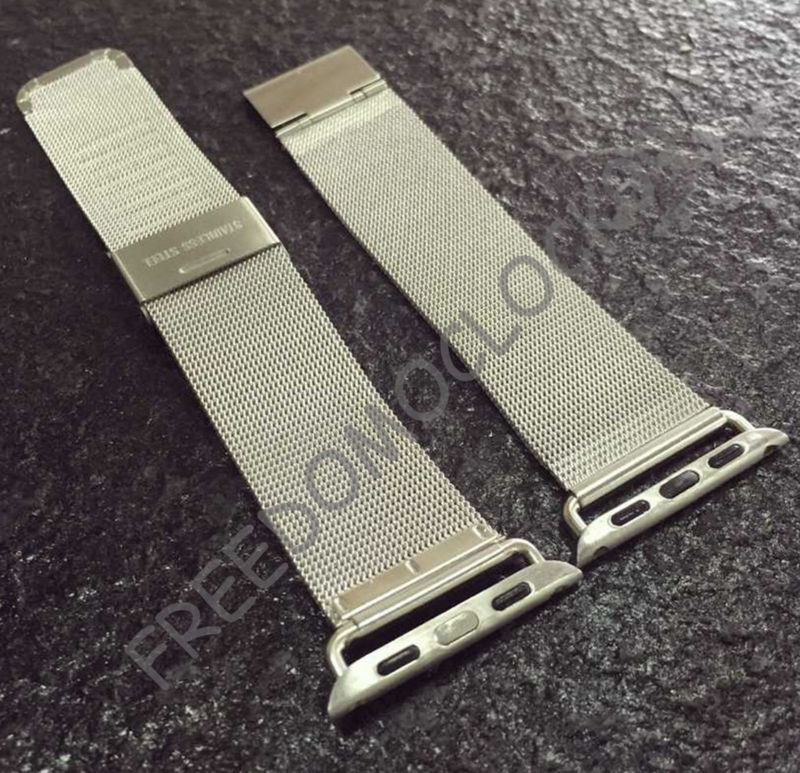 The band is made of stainless steel, available in both 38mm and 42mm and includes the connectors for the watch. There is one review of this band and the user was pleased with the quality of the band. While this band may not match the high quality of the original milanese loop band from Apple, for $28 it probably does the job. It also includes the connectors which makes it a good deal. The sizes available are for both 38mm and 42mm but currently only available in the silver steel color. For the price, this is probably the best dock you can buy right now for your Apple Watch. 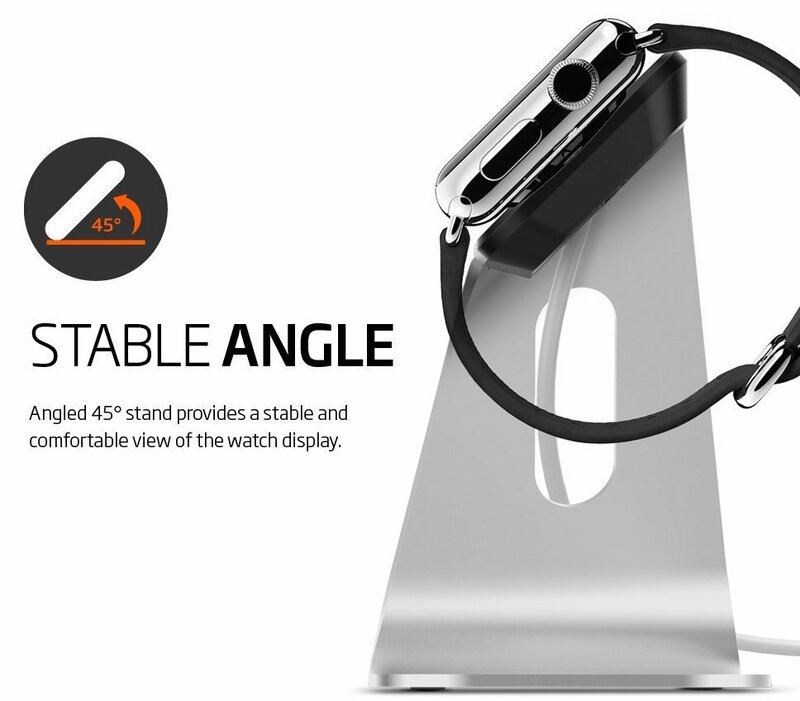 Users who have bought it say that it matches perfectly with Apple Aluminum products, the charger fits perfectly and the pod where you place is rubber so it doesn't scratch your watch. Can't go wrong with this dock for only 20 bucks! 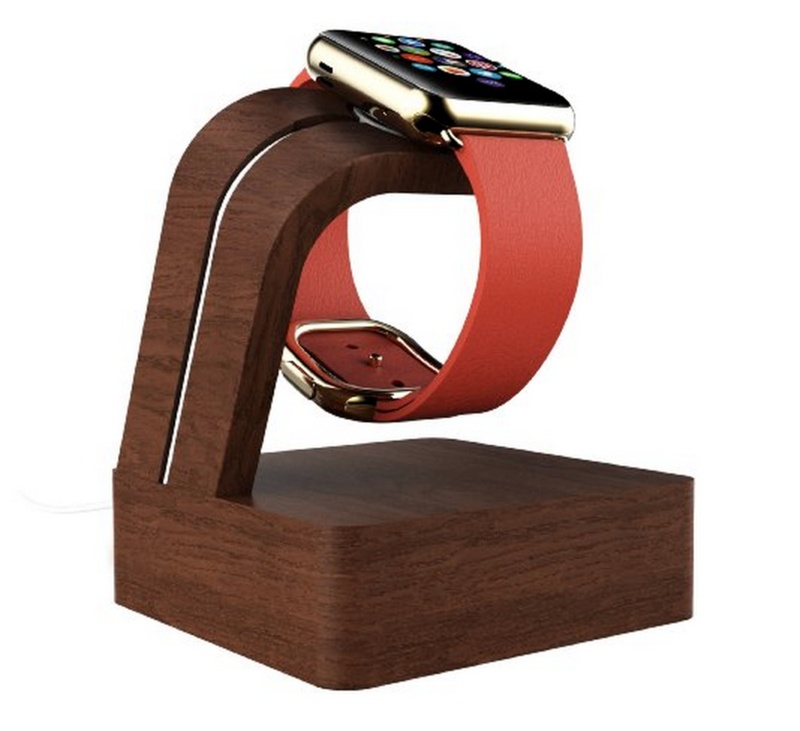 This looks like a great stand if you're looking for something more chic for your Apple Watch. They also have different versions in aluminum and Gun metal grey which would be great as a Stainless steel and Apple Watch Sport dock. It could also be used a great night stand! We all know how expensive the original Apple Watch bands and straps are. If you really want to customize your Apple Watch without spending a fortune, these adapters are a must buy! Once you have these, you can attach any leather or steel band to your watch. We recommend aftermarket band sizes of 22mm. 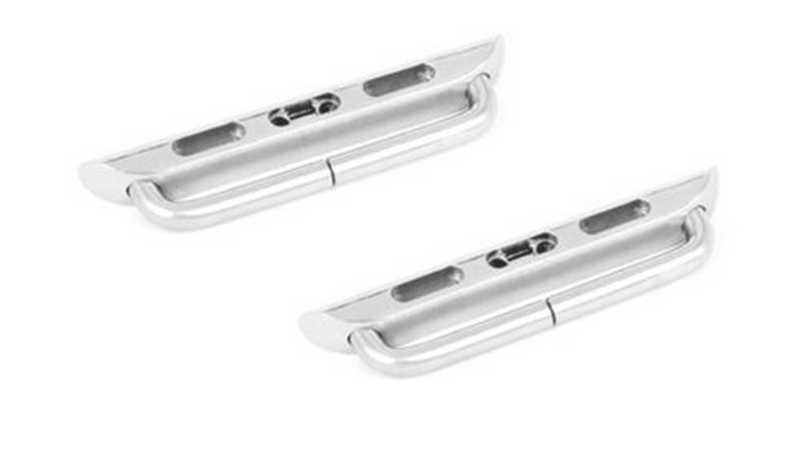 These connectors ship directly from the USA and only available for in Stainless Steel currently in either 38mm or 42mm and also include the special tool you will need to attach a new band. There are cheaper adapters on eBay such as this set for only $16.99 but it does not include the tool. I can vouch for the "HOCO Stainless Steel" band. Works great, holds up as expected. Still find myself switching between it, and my BSB. 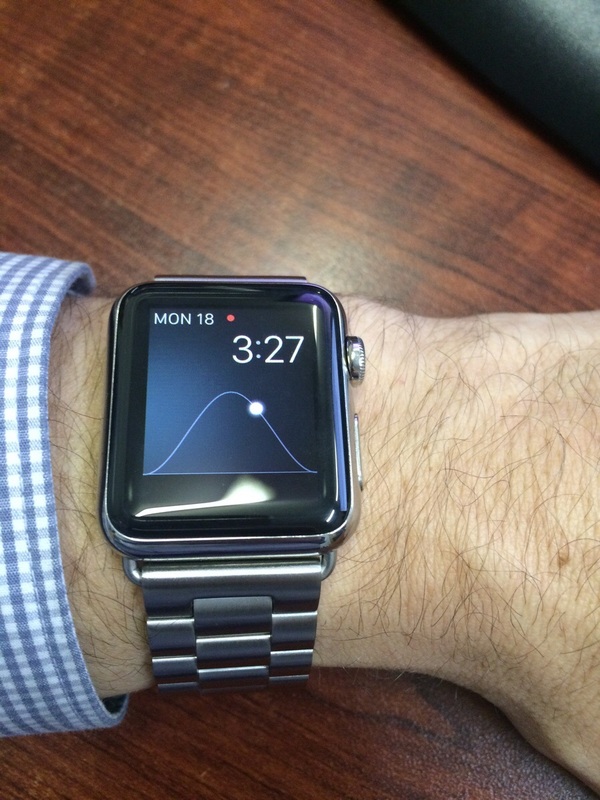 Hmm might pick up that Aftermarket Milanese Loop, current have the Sports Band but i really like the look of them.